Welcome back everyone! I had a chance to create some cards using the March My Monthly Hero Kit that I wanted to share today. This kit is filled with fun aquatic elements. What I was really excited to play was the Reactive inks included in the kit. I ink blended both of the inks onto Bristol Smooth card stock and sprinkled with water. The inks react to create these water splashes. Very much like the Distress Inks or Distress Oxide inks from Ranger. The kit also comes with this super cool frame die. I die cut one piece from white card stock and another from Black Glitter card stock. On the white one, I colored in the aquatic elements with copic markers. With the frame cut from Black Glitter card stock, I trimmed all of those aquatic features out so I was left with just a frame. Then I attached the glitter frame to my colored frame. I stamped multiple images from the large stamp set that comes in the kit using various ink colors from Gina K Designs. 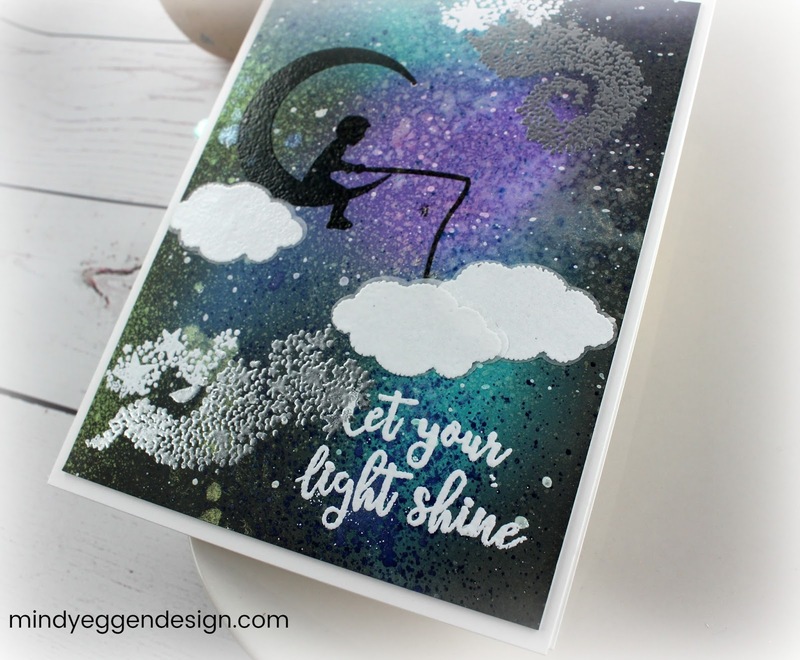 I used the coordinating dies to cut them out with my Gemini Jr. Before attaching all of my elements, I stamped my sentiment in the middle of the background using one of the Blue Reactive inks from the kit. I also added a few schools of fish to my background. Then I could attach my frame to the top using Lawn Fawn Liquid Glue. Totally loving scene! 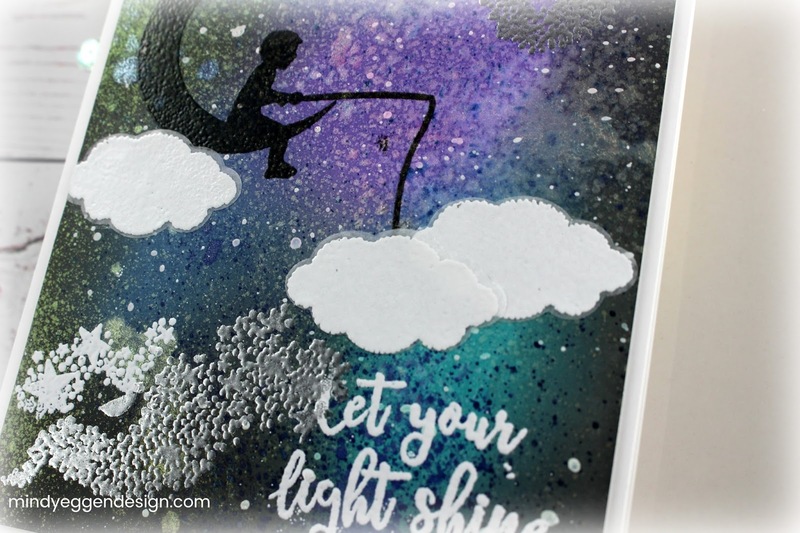 My next card is featuring the Bubbles Background stamp which is not a part of the kit but thought it worked well with everything. I stamped it onto some Tranquil Teal card stock cut to 4 1/4″ x 5 1/2″ using the darker blue Reactive Ink for a tone on tone look. I trimmed 1/2″ off of the side and then trimmed again at 1 1/4″ so I could have a strip missing. Using a full notecard measuring 5 1/2″ x 8 1/2″ and scored at 4 1/4″, I trimmed the same measurements off of one side of the card that will be my card front. I will start putting this together by adding double sided tape to the white card front and the small 1/2 ” strip I cut off. Using a strip of acetate I add this on top of the white card front to connect my base with my small strip. I had previously stamped images from the stamp set and die cut out so I can start adding them to my window. 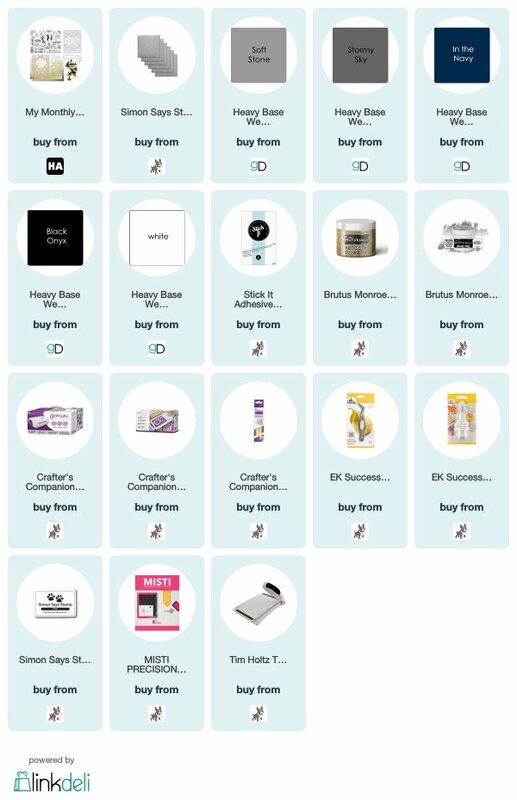 I use my sticker maker from Xyron to add adhesive to the entire back of the images. Next, I’ll add some foam tape and attach my blue panels to the front of the card. This gives the illusion of a window and no adhesive will show on the other side. It really is amazing how much value is packed into these kits for such a reasonable price. There’s more in the kit that I didn’t even use yet! Here’s a look at the entire kit. Be sure to pick yours up because there are only a limited number of them. 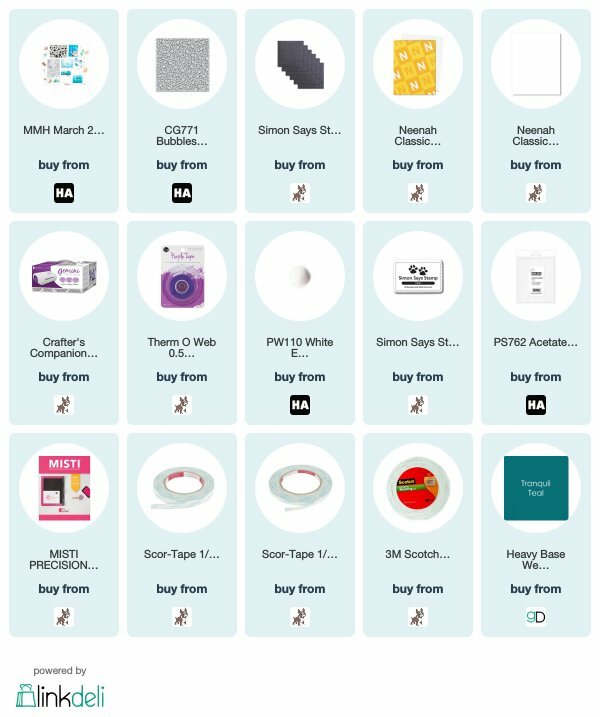 Once it’s gone – it gone! I hope you enjoyed today’s inspiration! Welcome back! 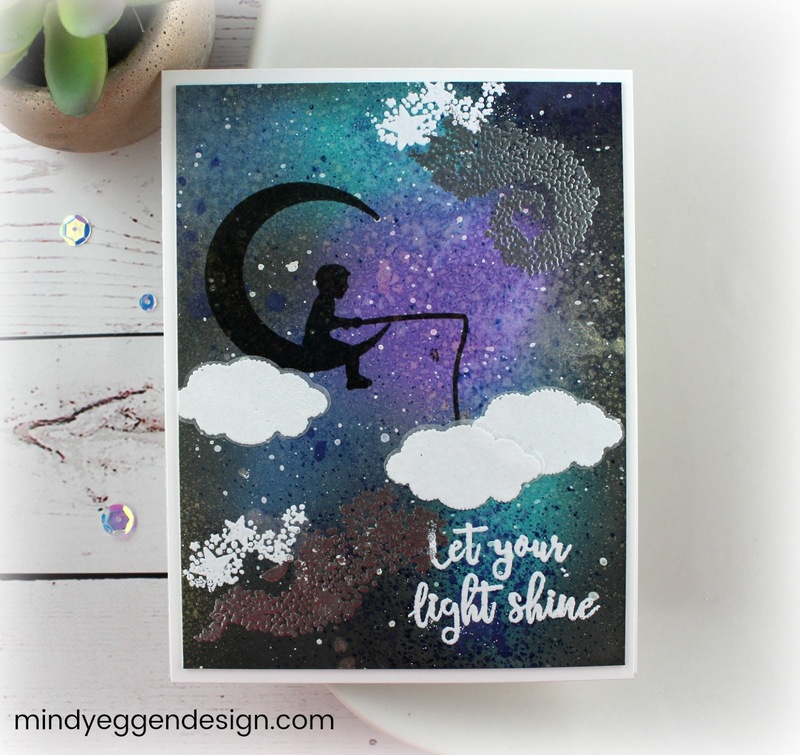 I’ve been getting crafty and today I’m sharing some cards I created with the Hero Arts Monthly Kit Art Deco. 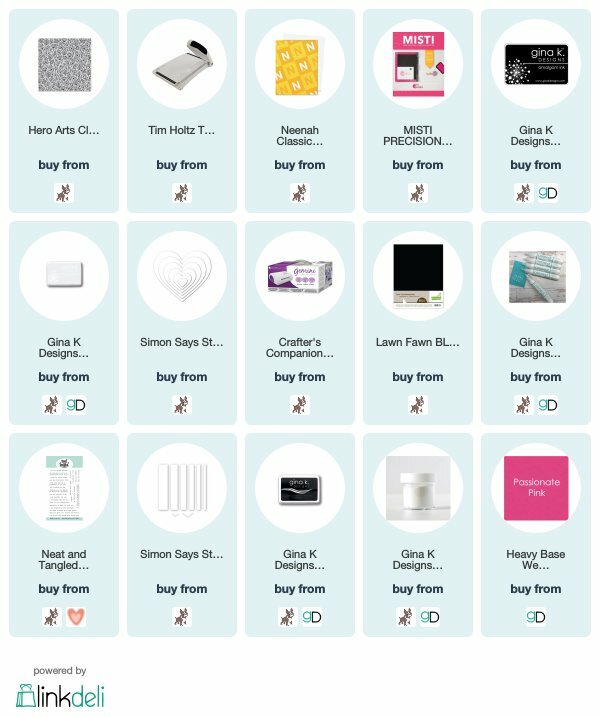 These are seriously jam packed with products for an amazing price. The first card I created I used the Fancy Die and my Gemini Foil Press with gold foil and In The Navy card stock. Such amazing results! Then I heat embossed a sentiment from the included stamp set with gold embossing powder. I had trimmed my piece down to 3 3/4″ x 5″ and matted on top of white card stock. Then I attached my panel to an A2 size card base from In The Navy card stock. How easy these would be mass produce and such a stunning look with an amazing design. For my next card, I finally sat down to try a technique by Jennifer McGuire. She did a faux layering technique with the Fancy die. I’ll link her video HERE for you to check out. I used Silver Glitter card stock, ( because I messed up the first time with the Gold Foil card stock that came in the kit ) , Black card stock and Stormy Sky card stock. I made sure to line the back of each of these with Stick It adhesive sheets. Trust me – you want to do that. I die cut all three of my pieces and then followed Jennifer’s instructions how to create that faux layering look. Before attaching to my card panel I created from Soft Stone , I lined up a sentiment in the middle and heat embossed with Silver embossing powder. Next, I removed the backing of my Stick Adhesive and attached my Faux layer die cut piece to my card front. I’m actually really glad I messed up the gold foil card stock because I am LOVING this color combination! I adore this design and can’t wait to dig into the stencils! Plus the stamp has so many more images and sentiments on it! Tons of value! Happy Sunday!!! My card today is completely inspired by Nichol Spohr. I pretty much cased her card. I’ll link to her blog here for you to check it out. Her card made me purchase my first Hero Arts Monthly Kit and I absolutely love it! The sprays are absolutely amazing in person! These pictures really do not do this card justice. You can be as messy as you want with it all and it just makes the card even better! 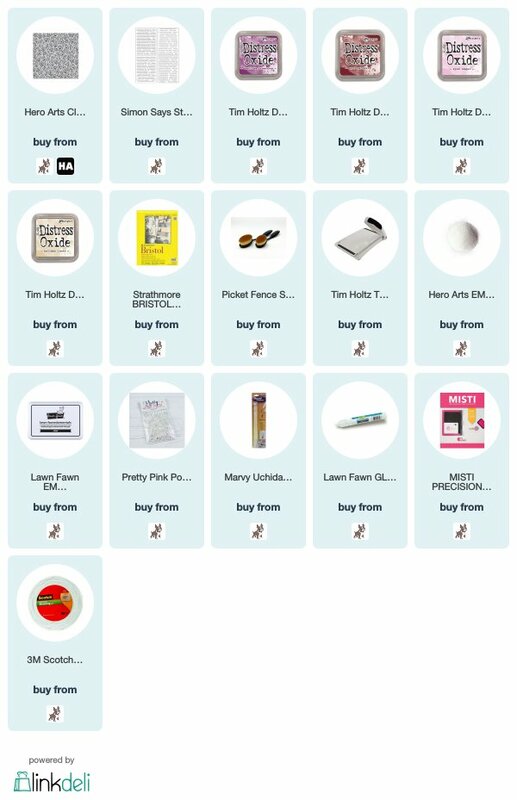 All supplies will be listed down below. I started out using some Tim Holtz Watercolor cardstock but the smooth side. Nichol mentions in her video that there will be a lot on this card so I opted for something really sturdy and could handle it. Then I did a galaxy background using Wilted Violet, Peacock Feathers, Faded Denim and Black Soot Distress Oxides. Next I sprayed the blue and silvery sprays onto it that come with this kit. It’s messy!! I let it sit for about a minute then dabbed the excess off with a paper towel. I finished the galaxy off by flicking some white specks onto it. You cannot imagine the shimmer this has at this point. Next, I heat embossed the stars patterns with silver embossing powder and stamped my boy on the moon with Versafine ink because its nice and crisp. 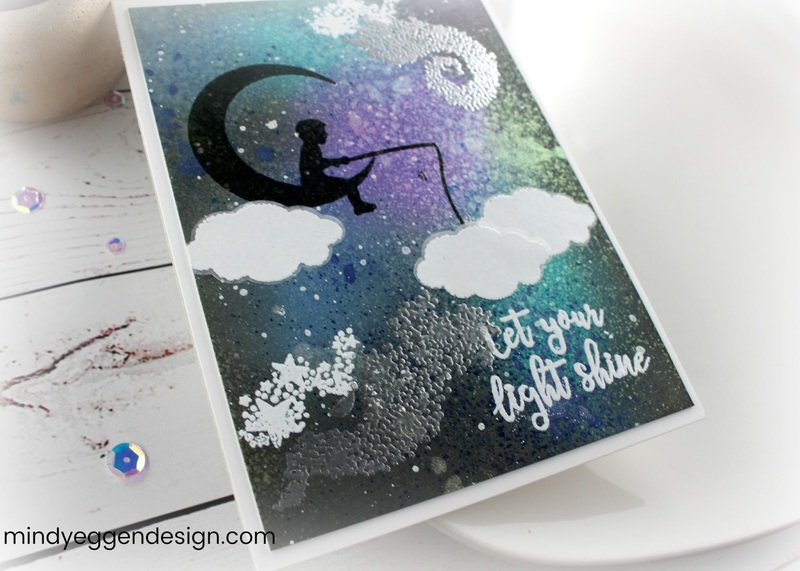 I quickly sprinkled some clear embossing powder onto my black image so it had some shine. Then added a couple more star clusters and heat embossing with white embossing powder. I don’t think I’ve even done so much heat embossing on a card before. I stamped the sentiment in Versamark Ink and heat embossed with white embossing powder. The clouds are also stamped with Versamark and heat embossed with white embossing powder but on vellum which this technique is new to me and I used the coordinating die to cut out the clouds. I added the clouds by running them through my Xyron sticker maker and attaching to the card. Finally, I trimmed the card down to 4″ x 5 1/4″ and added it to my base which is 4 1/4″ x 5 1/2″ and used my double sided tape. I wanted something really strong to hold this puppy down. Seriously, I just cannot capture the real shine and sparkle this card has!